If you need an electrician in Peterborough or surrounding areas we can help. We have been providing the highest level of electrical services & repairs in Peterborough with a proven track record. 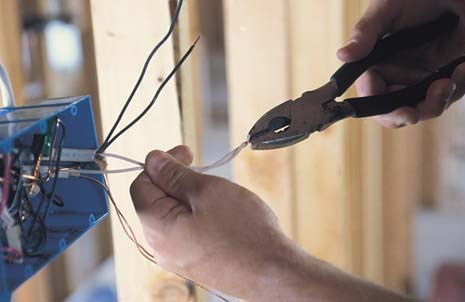 We cover electrical repairs for homes as well as commercial properties in Peterborough. For our landlords we can conduct Portable Appliance Testing (PAT testing). Whatever your electrical needs or electrical problem, contact HandymanServices247.co.uk on and we’ll get out to you as soon possible. You may be experiencing an electrical fault like flickering lights or perhaps an appliance has stopped working. We can help with these issues as well as dealing with broken electrical sockets, blown fuses and outdoor wiring. We operate a fixed price charging system offering a free no obligation quote and we never charge a call out fee, so call now on to arrange a visit or free quote.